On February 10, Xuan Truong Construction Company opened the third waterway for operation at Trang An eco-tourism site to serve tourists visiting the Trang An Scenic Landscape complex. On the route of the new waterway, visitors will begin their boat journey by embarking at Trang An wharf before being ferried to destinations such as Trinh Temple, May cave, Tien stream, Dia Linh cave, Dai cave, Hanh Cung Vu Lam and the filming location for Kong: Skull Island. The duration of the journey is about 3-4 hours. Trang An eco-tourism site is part of the Trang An Scenic Landscape complex and located in Ninh Binh province, covering an area of 2,200 hectares. 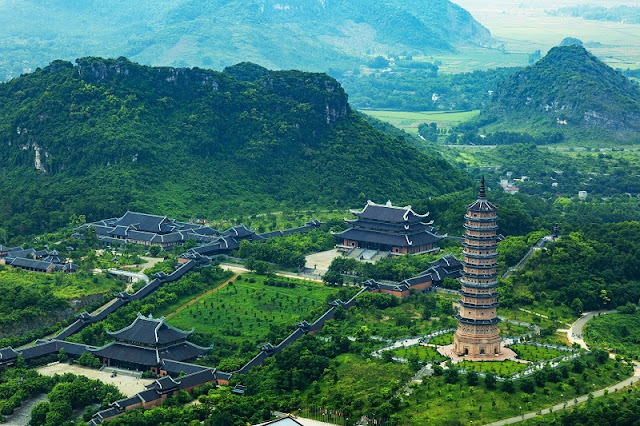 About 90km away from Hanoi, the complex was recognized by UNESCO as a World Heritage Site. According to the plan for development, Trang An eco-tourism site will ultimately have nine tourism waterways and two road routes. The opening of the latest route will help increase the number of waterways for tourism in Trang An to three. At the launch ceremony, visitors were treated to a show of the cultural and historic spaces of the Dinh dynasty and were able to row a boat along Sao Khe River. Apart from visiting beautiful landscapes of Trang An complex, tourists had the chance to enjoy some royal music of the Nguyen dynasty as performed by local artists. According to schedule, the third waterway at Trang An eco-tourism will officially open for business on the first day of the Lunar New year with tickets priced at VND200,000 each.